Malawian soccer lovers wishing to follow the exploits of the country’s national women’s football team at this year’s Cosafa Cup in Port Elizabeth, South Africa, have a chance to watch their stars on Kwese TV. The tournament kicks off Wednesday and ends on September 22 with 12 countries scheduled to compete for honours. A press statement released on Monday and signed by Kwese Malawi Marketing and Public Relations Manager, Annie Khataza Chisala, says Kwesé TV is the exclusive broadcast partner of the regional competition. “African fans can watch this tournament live on Kwese TV. For people on the move, the matches will also be available on the Kwesé TV app via the KFS channel. Simply download the Kwese TV app from any Android or iOS device and fans will be able to support the She-Flames on the go,” reads the statement. Malawi kick off the event with a match against Botswana at 10am Wednesday in Group A which also has hosts South Africa and Madagascar. The She-Flames will then take on Madagascar on Friday before winding up their group matches with a date against South Africa on Monday. 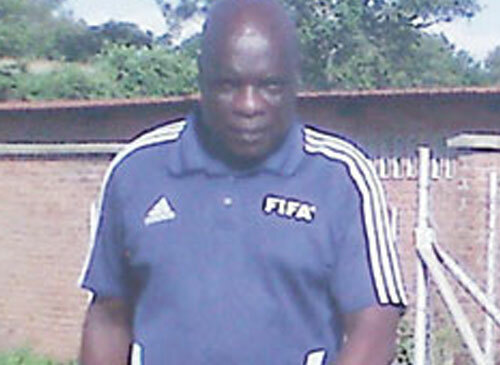 Meanwhile, Football Association of Malawi Technical Director, John Kaputa, has said he was confident of a better performance for the team as compared to last year when it exited the tournament in the group stages in Bulawayo, Zimbabwe. “The team camped for two weeks and I had time to monitor the training sessions. The players were not as competitive in the first week but they improved tremendously in the second after playing several local friendly matches. “We deliberately arranged matches against male players to help the team to become competitive. They also engaged in a lot of fitness exercises to help them withstand the heat in South Africa,” Kaputa said. The team could find life difficult at the showpiece in the absence of the Chawinga sisters, Tabitha and Temwa, who were behind the goals Malawi scored at last year’s competition. Captain Tabitha plays her football in China while Temwa plies her trade in Sweden alongside Sabina Thom, who has also failed to make the trip. This leaves striker Joy Bongowongo of South African side University of Johannesburg as the only foreign-based player in the team. Coach Maggie Chombo- Sadiki has another option upfront in Linda Kasenda, who is back to the team after a year’s absence. Kasenda has 25 goals to her name in the Central Region Women’s Football League.